Warehousing services are an important aspect of logistics, utilized by manufacturers, importers, exporters and wholesalers to store valuable goods in a secure location. When searching for the right storage facility for your goods, you want a cost effective choice with a convenient location and most of all- peace of mind. Here are 4 tips to consider when choosing a warehouse. Take time to determine what unique features will work best for the cargo you wish to stow away. It may seem easy to just store and forget, but there is much more to it than that, and you don’t want to create future headaches. What is the layout of the warehouse you’re considering? This is essential depending on how you want to move around, loading and unloading goods efficiently. What about the size? Draw up some estimates on the size of your stock and look for a warehouse large enough to accommodate the cargo accordingly. You don’t want to waste money on a huge warehouse with tons of leftover space, right? Contemplate the size of your business and the job market of the area you’re interested in storing cargo. If it’s local, then of course you’ll want a warehouse in close proximity to your office. If it’s a larger business then you want to look at a location that will most successfully benefit a regional area. Don’t forget to think about staffing. How is the job demand for this industry in the particular area? Shipments need to be loaded and shipped as fast and smooth as possible, so a warehouse located close to railways and motorways can help cut down on transportation issues. I don’t have to tell you to work the costs of a warehouse into your budget before picking a place, but do get familiar with what the costs will be exactly, as some can easily be overlooked. Location ties in a lot with overall cost. Is it efficient to ship from the location? Is the warehouse situated near your client base? These small details are what will help cut and prevent the unwanted surprise of extra costs. Your business is your passion and planning for the future is always important in reaching those goals for growth and expansion. Choose a warehouse with your future business goals in mind. 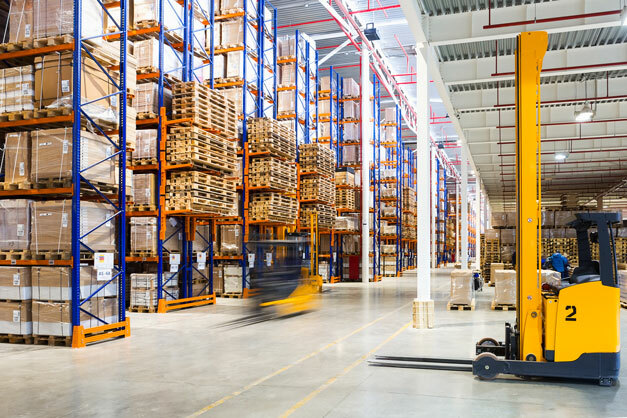 What longevity and facilities does a warehouse offer, because you don’t have the time and labor to pick up and move your goods if your business outgrows a warehouse. Spend some time analyzing potential growth numbers to help in picking a suitable warehouse that can fully accommodate what your business needs from present to future. Ready to get started? US 1 Network offers a full range of warehousing services to keep your goods safe. With a range of storage facilities available, we have the right warehousing option for you no matter how much cargo you need stored or what your special requirements are. Contact us to learn about our quality facilities and services.